UPDATED: Wed., June 27, 2018, 5:09 p.m. The Spokane Indians are no strangers to great defenders. After all, Avista Stadium has been the first stop in professional baseball for Gold Glove award winners Ian Kinsler, Zack Greinke and Carlos Beltran. And while it’s one thing to develop a stellar fielder, it’s another to welcome a great defender right off the bat. Indians infielder Tyler Depreta-Johnson was awarded the ABCA/Rawlings NCAA Division I Gold Glove Award for his work at Houston Baptist University, where he committed only one error out of 283 chances in his senior year. “He’s a very slick defender. He can make plays at third, short and second. What he does for us is paramount,” Indians manager Kenny Holmberg said. Depreta-Johnson, a 35th-round pick of the Texas Rangers in this month’s first-year player draft, has made two errors out of 29 chances for the Indians. According to Holmberg, that’s all part of adjusting to professional ball. 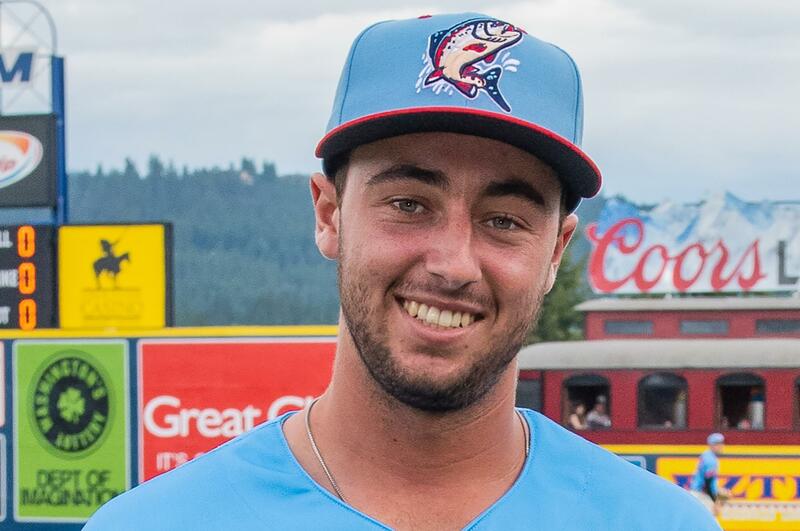 Depreta-Johnson showed the crowd just how much he was improving with a diving catch in the fourth inning of Sunday’s 4-3 victory over the Vancouver Canadians. The shortstop humbly downplayed the play, saying he just saw it off the bat and dove with a hope that it would end up in his glove. “I tip my cap to the way he’s playing and what he’s doing for the team defensively – it’s a separator,” Holmberg said. Having a defender flash the leather at this level can be a big boost for the pitching staff. Right-handed starter Ryan Dease, who threw seven scoreless innings on Monday night, is one of those appreciative pitchers. Published: June 25, 2018, midnight Updated: June 27, 2018, 5:09 p.m.